Does The Law Of Attraction Really Work? Yes It Does! 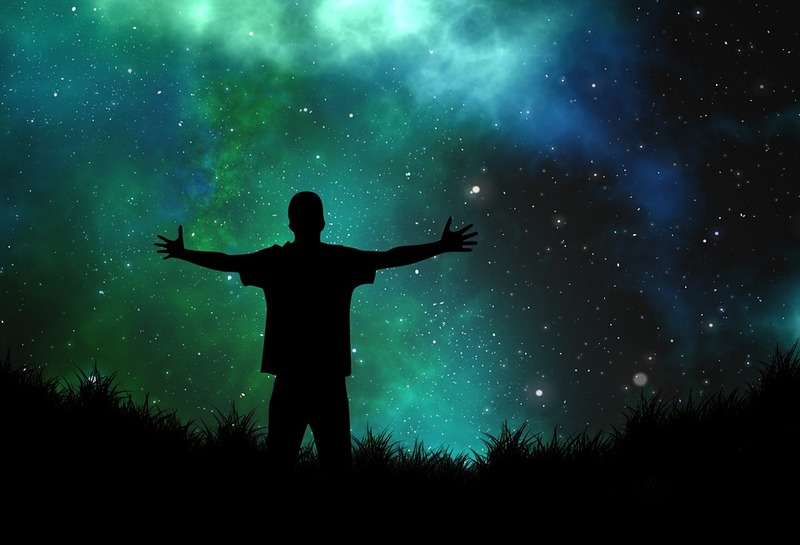 You may have heard people talking about The Universe or The Law Of Attraction. Maybe you’ve read the book ‘The Secret’ by Rhonda Byrne or have seen the Oprah Winfrey Show about it. Or perhaps you haven’t got a clue about what I’m talking about and just curious. You might be wondering “Does the Law Of Attraction really work?” Well, whatever your reason for coming here, I’d like to share my experiences with the Law Of Attraction and hopefully inspire you to learn more too. I’m no expert but I’ve been reading, listening and learning from the experts since The Secret first came into my life in November 2016. What I’ve learned so far is fascinating, enlightening, empowering and life-changing. Yes, the Law of Attraction does work. And If you really want all the help you can get to solve problems and make your life the best that it can be, then read on. What have you got to lose? The Law Of Attraction is the belief that positive and negative thoughts bring positive and negative experiences into a person’s life. It happens to us all whether we know about it or not, and whether we believe in it or not. It just happens naturally. But when we understand how the Law Of Attraction works, we have the ability to guide the outcomes. We are then in a position to create our own lives according to our dreams and desires. According to TheLawOfAttraction.com: “Simply put, the Law Of Attraction is the ability to attract into our lives whatever we are focusing on.” Now to expand on this we need to delve more deeply into what focus really means. From my experience, ‘focus’ is a very broad term where the Law Of Attraction is concerned. So to make the Law Of Attraction work for you, you may need to make some big changes in your mind and in your daily actions. It’s a way life which requires a certain way of thinking and has a range of actions and routines that help you along the way. You need to read as much as you can from different sources and form your own conclusions. There is a lot of similar information but there is conflicting information too. And what works for one person may not work for another. I have found this out. How Do We Know This Is Real? The Secret was released in movie and book form in the 1990s. It brought together a plethora of experts who contributed their own experiences and views on the Law Of Attraction. Older and still well-sort after books were reviewed and with the aid of social media, the Law Of Attraction movement hit the ground running. There are many websites, books and training programs that have since emerged to explain how to harness the power of the Universe. One of these programs, which I purchased, is Wealth Beyond Reason. 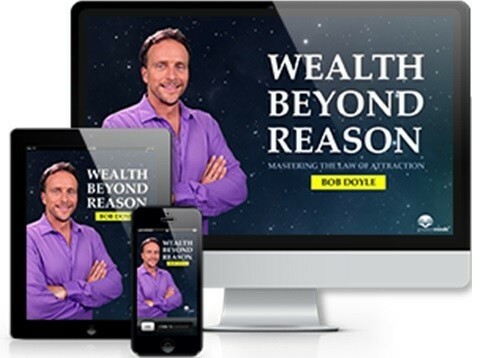 Bob Doyle who was one of the Law Of Attraction experts who contributed to The Secret, created this program to teach all the ins and outs of the Law Of Attraction. It is a very comprehensive program which provides a lot of valuable guidance and information about how you can create a life of abundance in all areas of your life. In the program, there is one module called ‘The Science Behind The Secret’ which includes an interview with physicist and author Dr. Travis S. Taylor. Dr. Taylor is the author of the book The Science Behind The Secret: Decoding The Law Of Attraction. In his book, Dr. Taylor discusses the latest research and discoveries in quantum physics as they relate to your thoughts, beliefs, and desires. He explains how our thoughts create our own reality and that we have the ability to control it. So if you are looking for proof and still asking “Does the Law of Attraction really work?”, then check out his book? How Can You Harness The Power Of The Law Of Attraction? The Law Of Attraction is all about energy. And the main goal is to lift and maintain positive energy as much as possible. So learn as much about it as you can. Read lots of books by different authors. Complete a program like Wealth Beyond Reason, which teaches you how to apply the Law Of Attraction to all areas of your life such as relationships, health, money, and general well-being. Search the internet and find out about other people’s experiences. As I mentioned previously, tapping into the Law Of Attraction requires knowledge and effort because there are a number of actions you will need to take. Below is a list of important elements that will help to create positive energy vibrations and achieve your goals. Decide on what it is you really want. Write it down in as much detail as possible. Why do you want it? How will it change your life? What are you prepared to do to achieve it? Who else is involved? How will it affect them? This has to be the number one chief priority. Releasing negative thoughts and beliefs from your conscious mind and especially your unconscious mind is critical to your success. This is because negativity causes blocks to success and abundance. So think nice thoughts most of the time. Release grudges you hold and resentment. Forgive everyone who has ever harmed or offended you. Think right back throughout your life about any painful memories that may be stored in your unconscious mind. Then release them. Release any negative or limiting beliefs you have about yourself. If you are critical of your looks, abilities, personality or past actions then you need to change it. Forgive yourself. Accept yourself. Be kind to yourself and vow to make positive changes. There are a number of ways to release negative thoughts and beliefs. Emotional Freedom Technique is a helpful method for forgiving and releasing grudges, as it incorporates positive affirmations with the tapping action. Self-hypnosis is another very effective method which I use frequently to train my mind to think in a positive, healthy way. As you release all the negative thoughts and beliefs from your mind you also need to instill positive ones. Positive affirmations are uplifting statements that are read or listened to frequently. You can learn more about them here. You need positive, empowering beliefs to support your efforts and raise your vibrations, therefore establishing a regular affirmations practice is one way to replace those negative beliefs with positive ones. And combining it with EFT or empowering hypnosis would be even more powerful. Check out the hypnosis library. This is the fun part where you get to imagine exactly how you’d like things to be. Think of a goal then imagine it really happening with all of your senses. Feel it. What are you doing? Where are you? Who are you with? What do you look like? What are you wearing? How do you feel? 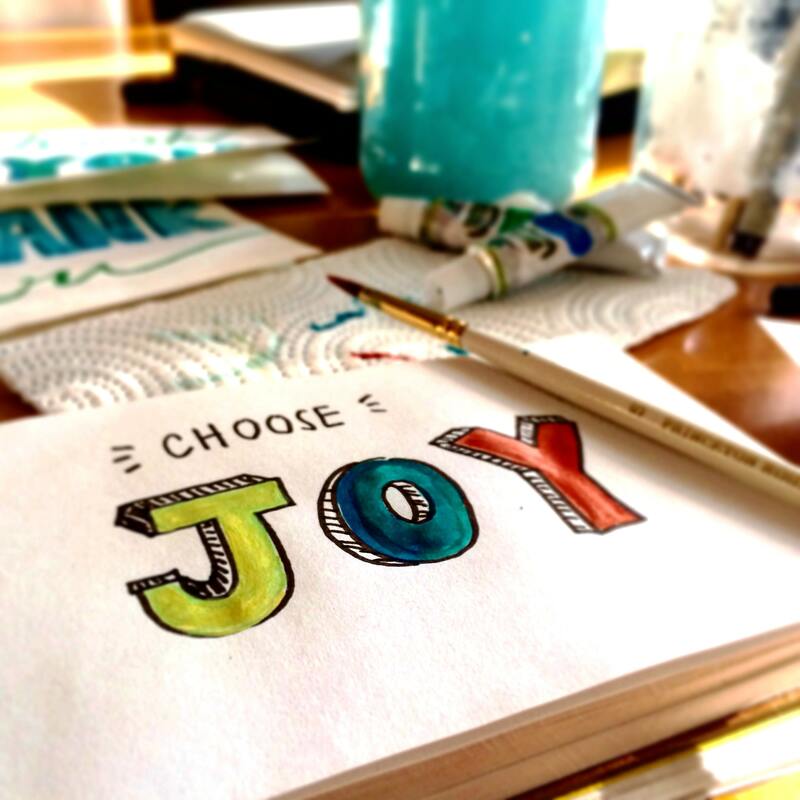 Practice this visualization on a daily basis so that it becomes more and more familiar and real to you. Not just a thought or daydream. Now you need to take action to make your visualization become a reality. You can’t sit back and wait for the universe to bring it to you. You have to be continually moving towards it. But harnessing the Law Of Attraction will make attaining your goals much easier. Events, opportunities, and circumstances will move or arise to accommodate you. This is incredible to experience. It gets exciting when you know the Law Of Attraction is working the way that you want to. Then, in time you will see everything lining up perfectly. So set some goals and get moving. Meditation is helpful for lots of reasons. One of these reasons is that meditation stops the incessant noise of thoughts in your head and quietens the mind. It helps to calm your mind and relax you. Another reason is it allows your intuitive power to come through. Whenever you’re stuck on a problem and need guidance, you can tap into your intuition. When your mind is quiet you can ask for guidance. Wait awhile. It might be in a few minutes or longer but if you continue to maintain a quiet mind, (without a lot of thoughts running through) answers to your question will come to you in the form of strong intuition. 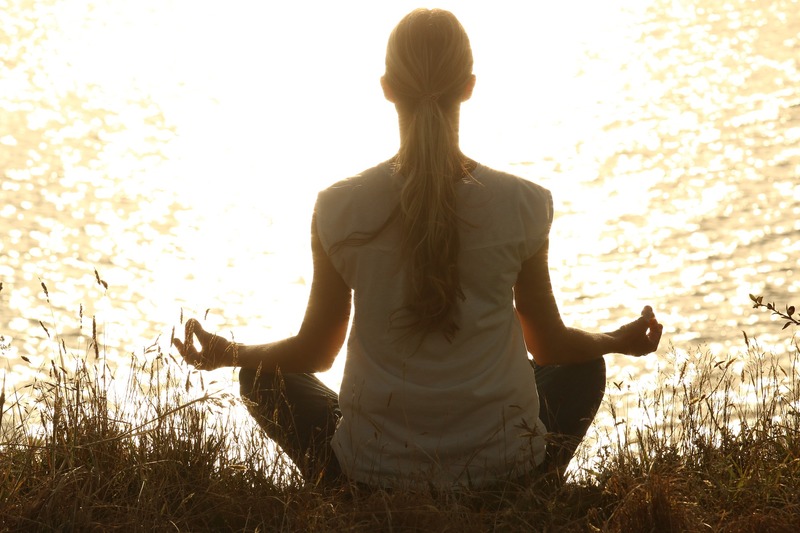 You don’t have to meditate every day. Three or four times a week for about 10 minutes each time is a great amount to start with. Then you can add more time later if you wish. Practice gratitude in your daily life. Be grateful for everything big or small. Thank the universe for the flowers, trees, a sunny day, your job (even if you don’t like it), your wages, your family, friends etc. Find positive things to be grateful for out of typically negative situations. For example, you may loathe your credit card bill but you can be grateful to the bank for extending you credit to buy the dress you wanted. You can practice gratitude orally or write it down in a notebook, on your computer or in a Gratitude Journal. Firstly, you need to practice all of the above to connect with the universe. Through your meditation practice, you can get help from two sources: your unconscious mind, which is like a supercomputer (explained above) and from the universe. You need to be really present, in the now, calm and quiet. Say “Universe, please help me”. Then ask your question or state what help it is that you need. Then be observant and aware for signs and guidance. Signs or guidance can come in many forms, so you need to be open to them. Strong intuition or thoughts may just pop into your head suddenly. Or people may say things to you which is just what you needed to hear. A book might fall on the floor in front of you. Pick it up and read a bit of it as it may have the answer. A great book, that explains this well, is ‘The Universe Has Your Back’ by Gabrielle Bernstein. It’s amazing how the universe communicates with you and how truly powerful it is. Just be ready and open. And remember, sometimes we get really busy. We forget to do our daily practice and we feel like we’ve lost our connection to the universe. Don’t worry, just resume your daily practice and you will reconnect again. Firstly, “Does the Law Of Attraction really work?”, Absolutely it does, whether you know about it or even believe in it. Secondly, as it going to happen to you whether you want it to or not, you might as well guide it to achieve your goals. You can do this by educating yourself with programs like Wealth Beyond Reason and reading as much as you can. Check out my recommended books. Decide what you want, in detail. Create empowering positive affirmations and repeat daily. Use visualization to bring your desire to life. Meditate often to calm the mind, tap into your intuition and raise your vibrations. Practice gratitude to express genuine appreciation for what you have and raise your vibrations. Ask the universe for help and be aware of signs and guidance. I hope you enjoyed this post and found it helpful. Please leave a comment below or share your own experiences. ← RediCalm Review – Does This Product Really Work? Thank you for such a positive presentation. Very helpful and interesting. Thanks Violet. I’m glad you enjoyed it.